What’s happening with the Mill Towns Trail? I took the photos above on Sunday of the area to the south of Walgreen’s where I think the trail and pedestrian bridge are supposed to go. Am I right? When might construction begin? There’s supposed to be a trail head in Dundas under construction. Is it happening? There’s been a bit of public controversy about the 4th Street route and bike lanes (photos below) for a couple of months. Has the Board of Directors discussed this? What’s the planned response? The organization’s web site hasn’t been updated since January. Anyone? Anyone? Anyone? Bill, I fixed that sentence in your previous post. And yes, I would also like to hear what happened at last night’s meeting. Anyone take photos? As a relative newcomer to Northfield, this discussion is very important to me. I bike to work at Carleton most days, and have an avid interest in outdoor fitness activities (biking, but also running, skiing, etc.). As such, I’d like to call attention to the way the proposed Trail, including the Fourth Street Route as well as the leg through the Upper Arb, would be a huge boon as a transportation route, not just a recreational venue. I live in the subdivision east of the golf course (albeit at the bottom, not the top of Mayflower “Hill”), from which there are really only two ways to town: Woodley St. and Wall Street Road, neither of which is now particularly friendly to any but those who are driving cars. My daily bike rides along Woodley are always unpleasantly thrilling, especially in the morning, heading west through the blind curves, and I always fear for the people who walk along the non-shoulders. 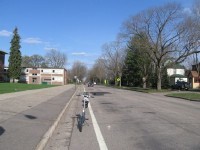 (This may change fairly soon: in summer 2008, the city is going to reconstruct Woodley to improve the roadway and build bike/walking paths along it, all the way up to Prairie.) Having the Trail run so close to our subdivision – a short jump up Spring Creek Road to the southeast corner of the Upper Arb – would offer a good way to get into town without using a car. Whether on foot, on a bike, or by some other means (my rollerskis, maybe? ), we could use the Trail (and the Fourth Street route) to more easily get into the downtown area for work, shopping, recreation… I can practically taste the ice cream already. This is all related to a second point: the discussion has so far focused on bicycle traffic, but as Neil pointed out in the podcast (I think), a lot of other kinds of users will take advantage of the trail. When my wife and I lived in Minnetonka a few years ago, we frequently biked on a nearby branch of the “LRT” (running from Hopkins out to Victoria), and we were always outnumbered by walkers and runners. Given Northfield’s demographics, I have to think the same thing will be true on the Trail. (And I for one salivate at the possibility of rollerskiing literally from my doorstep to Cannon Falls, Faribault, or points beyond. Others might see the “13 miles to Cannon Falls” sign as a suggestion for staging an out-and-back marathon.) While some bikers may cause problems by running stop signs, ignoring pedestrians, etc., I think that many Trail users, simply by being on foot, will be far less disruptive. (And I agree with Bill: a few tickets to bikers who go too fast or zoom through a stop sign will be good for everyone.) 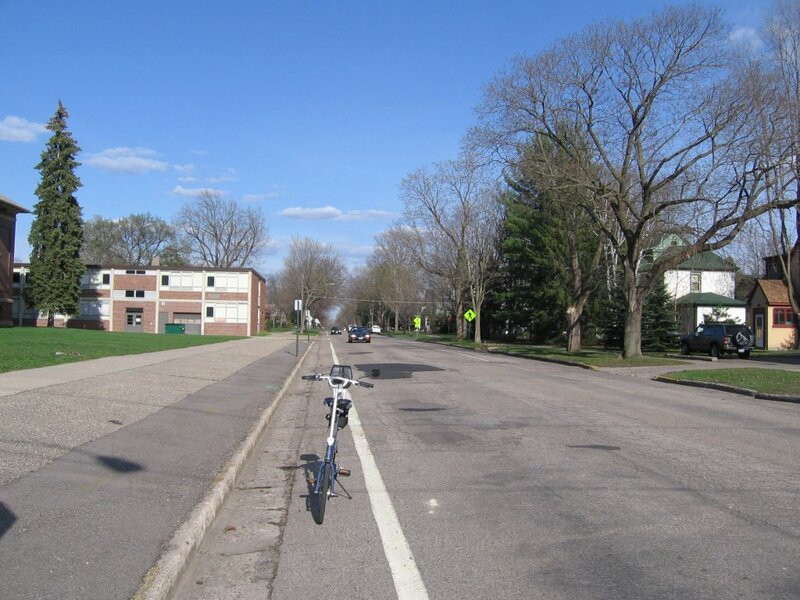 Further, it seems to me that the mounting obesity epidemic offers another reason why it would be a good thing to have another place for all Northfielders (and our neighbors in the region) to bike, run, skate, ski, or whatever can only be a good thing. Finally, I’d like to comment briefly on the fact that the Trail seems likely to pass through the Upper Arb. I certainly respect Mr. Kettering’s and others’ appreciation for the Arb as a park; I share that appreciation, and take every chance to enjoy the Arb as a place of recreation and relaxation. But I also want to point out that the Upper Arb is already intensively altered and managed. There’s a substantial cornfield right in the middle of it, for one thing, and one can see, along the paths that parallel Spring Creek Road, for instance, numerous culverts, ditches, electrical equipment, and even what appear to be irrigation-sprinkler heads – not to mention mowers, tractors, combines, etc., if you’re there at the wrong time. All that’s by way of saying that a relatively narrow, well-constructed and -maintained lane of asphalt does not seem, to me, to be an unprecedented divergence from the Upper Arb’s current state. Jeez, another guy with a blog joins the discussion. Welcome aboard, Christopher. Cute kids photo album! I understand that the Lower Arb is a more natural habitat than the Upper Arb. But it’s full of walking/running trails already, with continual improvements being made to them to accommodate public use. So it’s not as if Carleton is trying to keep people out. I should have made clear in my post 24 that Eric Johnsonâ€™s plan for a lower Arb trail ran the trail aside of the Cannon behind the stadium and then out to 19 by the gym and up the outer edge of the lower Arb on Highway 19 right of way. It’s true that Carleton isn’t trying to keep people out of the Lower Arb, but there is a difference between scattered walkers (or skiers or joggers) on an unpaved path and cyclists on a 10-foot wide asphalt bike trail. Such a trail in the Lower Arboretum would break up the “large contiguous areas of natural habitat”(see my post #39) that are crucial to the arb’s ecological health. I also mentioned earlier the rare turtles and plants in the Lower Arb, which would be further endangered by a paved, higher-use trail. Again, I recommend talking to Mark McKone or Myles Bakke about these issues. For the importance of “large contiguous areas of natural habitat,” I can recommend one of the best general audience science books ever written: David Quammen’s The Song of the Dodo: Island Biogeography in an Age of Extinction. A brilliant, compulsively readable book. Regarding people’s concerns about the route through downtown and up Fourth Street, I wonder if Ross, on his recent trip to Seattle, checked out their extensive urban bike trail system. I wonder how other cities deal with routing bike trails along urban streets, and what their experience has been. It’s good to know that someone enjoying the pastoral English countryside still thinks enough about the colonies to contribute here. Thank you for making these excellent points about the Lower Arb. We are continually impressed with Carleton’s efforts to balance being a good steward of its natural treasure with being a good neighbor to the wider community. You have already cited one of the best examples—keeping the Lower Arb free of cyclists while allowing them in the Upper Arb. Like you, I encourage anyone interested in Arb issues to talk with Mark or Miles. Perhaps the only matter on which you and I differ–and here only slightly—is the likely impact of a “peripheral” trail on the Upper Arb. My concerns increased after walking a portion of the proposed route with our local DNR guy. road-use issue in your final paragraph. Sorry that I can’t speak to what goes on in Seattle, but I’m told (again by the DNR) that there are very good reasons why they don’t endorse routing “State Trails” along city streets, (even though they are all in favor of city bike lanes, as I am). 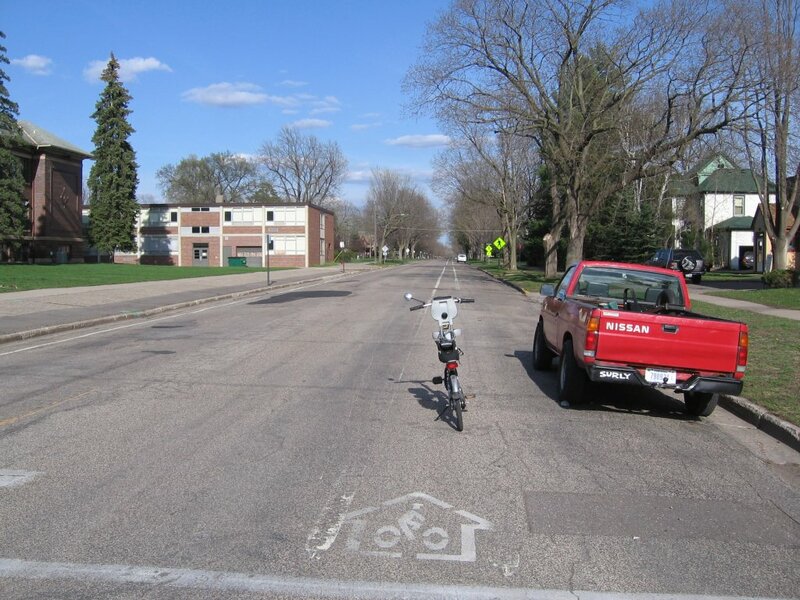 Neither Minnesota nor Wisconsin will even use the word “trail” to describe these city-street connections, because “trail” to them means “free of motorized traffic.” Apparently the very same cyclist behaves differently when he or she is riding local streets (commuting or whatever) as opposed to riding “foreign” streets between car-free trail segments. Makes sense to me. Rob, the lower Arb trail along the river is already there, for the most part. I don’t understand how putting asphalt on top of it would “break up the large contiguous areas of natural habitat.” And if asphalt is a problem, then couldn’t it be crushed limestone like many other bike trails in the state, including Sakatah? Anyone know what’s with the new gravel trail thru the upper part of Lower Arb? It’s exactly where the bike trail could go as it heads towards Waterford from Hwy 19 at the intersection of Hall Ave/Spring Creek Road. Is it just a trail for Carleton’s ATVs to access while they clean out the buckthorn? Thanks, Rob. I misunderstood, tho I somehow have this notion in my head that Eric proposed something quite different initially, ie, a way to engage the public more in learning about the natural habitat of the Arb. I’ll have to find out. In the meantime, we’ll see if we can get Mark McKone or Arb Manager Myles Bakke on an upcoming podcast. Please note, these are from 2003, but all I could find quickly on Carleton’s site. I was wondering if someone with a graphics tool might be able to overlay the proposed route over the JPG and post it somewhere? Permit me to address serious errors in your Post 49 to this discussion. 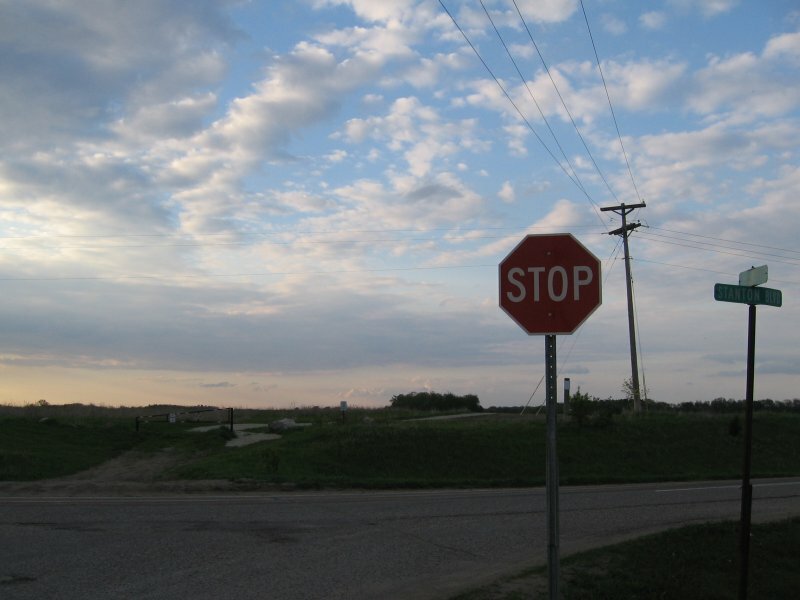 The DNR has not confirmed that you will “not find five blocks of “share the road” trail connection in any other center city in the state.” What Joel Wagar, the DNR agent for trails in our area said was that there are no such connections IN HIS DISTRICT. (I spoke with Joel today, and I was waiting to reply to your post until I did.) There are four trails, incidentally, in Joel’s district. The Sakatah Singing Hills State Trail is NOT in Joel’s district. It runs south out of Faribault, and those of you who have been on it, as I have, will know that the trail comes into the east side of Waterville and picks up again on the west side of Waterville. Signs point you through Waterville on city streets. It was also the case that a portion of the Root River Trail ran on city streets but has now been shifted to a dedicated off-road trail. You also claimed that the DNR “prefers the RR route or one close to either Highway 3 or the river to the present plan.” This statement is absurd. In principle the DNR prefers off-road to on-road trails. There is no question about that. That’s a principle we all share. The DNR first looked at an off-road trail by the railroad, but this had certain key problems. One is crossing Highway 19 where the railroad does (near Malt-o-Meal). How could you make such a crossing safe for bicyclists? 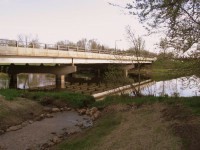 The other is the lack of room between the railroad tracks and the Cannon River. As Joel Wagar said to me today, the railroad route was looked at fairly intensively and deemed not feasible. That’s not to say that possibility can’t be revisited, but Joel was clear that he did not say what I have quoted above from Fred’s post 49. What Joel did say is that the DNR originally preferred the route behind the Carleton Stadium and then out the right of way aside Highway 19. (Again, please remember that we were talking about a route peripheral to the lower Arb, not through the lower Arb.) Carleton, however, did not prefer this, as has been noted previously. Now what makes the DNR preference claim absurd is that it was the DNR, in its Master Plan for the Mill Towns Trail, that settled tentatively on the Fourth St./upper Arb route (subject to continued planning work and the approval procedures of Carleton, which did give a provisional green light to that route to make these planning activities possible). That route was not set in stone and is not set in stone, but it was the DNR that concluded that was the route upon which we ought to focus our primary (although not exclusive) attentions. Your recent rhetorical strategies are unfair. What you are trying to suggest is that it is the Friends of the Mill Towns Trail group that is fixed on the 4th St. route even in the face of the DNR’s preference for an alternative route. But the Friends group has no authority to determine a route for the trail. Let me repeat that. THE FRIENDS GROUP HAS NO AUTHORITY TO DETERMINE A ROUTE FOR THE TRAIL. We are simply a group of citizens who are doing what we can to facilitate the development of a safe, functional, attractive bike trail connecting the Sakatah and Cannon Valley Trails. We work with various agencies and groups that have that authority. Thus, when you allege that “The DNR obviously can’t compel the MTT to abandon this seriously flawed route” you are completely mistaken. The MTT, by which I take it you mean the Friends group, can’t compel the DNR to take one route or another. We have had no authority to abandon or establish one route or another. In sum, the rhetorical strategies of trying to cast the Friends group as preferring a route that is completely at odds with other trails in the state and completely at odds with the preferences of the DNR crumble in the face of the facts. My understanding from Joel is that the DNR plans to look again at all possibilities for trail routes through Northfield later this summer in cooperation with the principal stakeholders. Making sure that whatever we do makes the best possible sense both in light of current conditions and ideas and for new faces (e.g., at Carleton and in City Hall) that might not have been party to earlier deliberations reflects the genuine spirit of the Friends group as I have experienced it, and I look forward to continued progress on the trail, whatever route it might take. Please take a deep breath. Have we returned so soon to the land of “unfair,” “absurd,” and “serious errors?” That’s a shame. 1)From my notes: what Joel told us directly is that there were no trails in his district sharing twelve city blocks with cars and that he knew of none in the state. Perhaps the passage through Waterville slipped his mind, or perhaps he didn’t consider that passage a “city” problem in the same sense as ours. 2)My second paragraph notes that the DNR agent “says that our present discussion about the routing of the MTT through or around Northfield is entirely timely.” He did say so. I then go on, in my own voice, to suggest reasons why that is so: first, a spur into downtown doesn’t require a particular further route; second, there are other possibilities. You can’t have missed the word “apparently,” which is clearly a sign that I am guessing here, based on Joel’s stated preference for an entirely off-road route and his discussion of several such possibilities. I am sorry that you find my guess so wrong as to be absurd. 3)You suggest with some subtlety that the MTT Friends group has no authority to determine a route for the trail. Did I get that right? Before that, you repeat your version of who-approved-what-when. Are you suggesting that someone at the DNR lobbied Carleton for its tentative approval and subsequently composed all the language on their website and yours claiming that “Carleton has graciously approved…?” You said earlier that your website should be revised on this point. Why did the DNR get it wrong? 4)I had it from Joel that the DNR would like another sort of route than this one (which I call “seriously flawed”). And I also had it from Joel that within city limits, the striping and routing approval is a matter for the City to determine apart from any DNR preference. I also read DNR guidelines about state trails and learned why riders like them and what is considered safe and not safe. On the other hand, I saw the map and the language on your website; I heard the words of your members; and I read your posts here, defending the route as the most feasible. It is not therefore “completely mistaken” to say exactly what I said. As a point of simple logic, what YOU can or can’t compel has no relevance to what THEY can or can’t compel. Oh gentle readers, is this not tedious? Why are we discussing my “rhetorical strategies” and whether or not they “crumble in the face of the facts?” Should we not be finding a better route for the Mill Towns Trail? I sincerely appreciate the measured tone of your reply although not what I take to be the patronizing respiratory advice. What I appreciate most of all is information that’s stated with precision and careful grounding. 1. Your notes on your conversation with Joel are careful. Your statement in post 49 on that conversation, in my view, is not. 2. I did not read your use of the term “apparently” in the sentence “Apparently the DNR, like Carleton, prefers…” as indicating that this was something you had invented. You appeared to me to be attributing a preference to the DNR. As I reread the sentence, I still don’t see what you think is so obvious. 3. It is the case that the Friends Board has worked with Carleton, the DNR, the City, the Department of Transportation, our legislators, and other groups and individuals on all sorts of routes and other matters related to the development of the trail. Nonetheless, perhaps it’s my aging brain, but I don’t see how your comments (3) and (4) address your claim in post 49, which I quoted, that “The DNR obviously can’t compel the MTT to abandon this seriously flawed route” and the other references in that post implying that the DNR’s preferences were somehow at odds with our own. We’ve collaborated with others in a series of efforts that have unfolded over time, a long period of time, to try to make various routes possible. Again, however, we don’t decide. 4. Finally, I do think we should be working–and working together–to find the best possible route. There is much we all need to learn about each and every possibility. My problem is with your word “better”, which suggests, as you clearly have earlier, that the one route we ought not to consider is the Fourth St. route. I think that route has much going in its favor. I also think that route has problems which may or may not be solvable. I know there are alternatives, ones I would readily consider more attractive, ones that we worked hard to further. I just don’t know that they are feasible, but I, for one, remain open to learning more about existing and other alternatives to see what’s possible. I’m as opposed to a rush to judgment on these alternatives as I am to a rush to judgment of the Fourth St. option. Neil, We have many friends in common, some of whom have assured me that you are not normally as peevish as you appear to be on this blog. I trust that some might tell you that I am not normally as disingenuous as you evidently think me to be. For the sake of any readers who may come here hoping for light rather than heat, let’s give it a rest. My friends can speak for themselves. So can I. I don’t believe you to be disingenuous in any of this, I really don’t. I think you’ve been sloppy in the service of a closed, deeply held position. My concern is that misinformation has been promulgated as a result of that, to the detriment of finding good solutions to complex problems. That’s not to say I find no merit in various concerns you’ve raised. I simply believe you’ve repeatedly rushed to judgment without adequate information gathering and genuine discussion in response to those concerns. I have found this entire discussion very interesting and informative, and I want to thank Griff and Locally Grown for providing this forum. I’ve appreciated the opportunity to participate in this discussion about an important local issue, even though Iâ€™m currently several time zones to the east of Northfield. The issues here are very important to me. I consider the arboretum priceless and irreplaceable, and I would oppose any development that would damage its ecological integrity or character as an area of natural beauty. In 1997, I was ready to chain myself to the oak tree next to the site of the Carleton Recreation Center, which would have been removed had the original construction plan been followed. 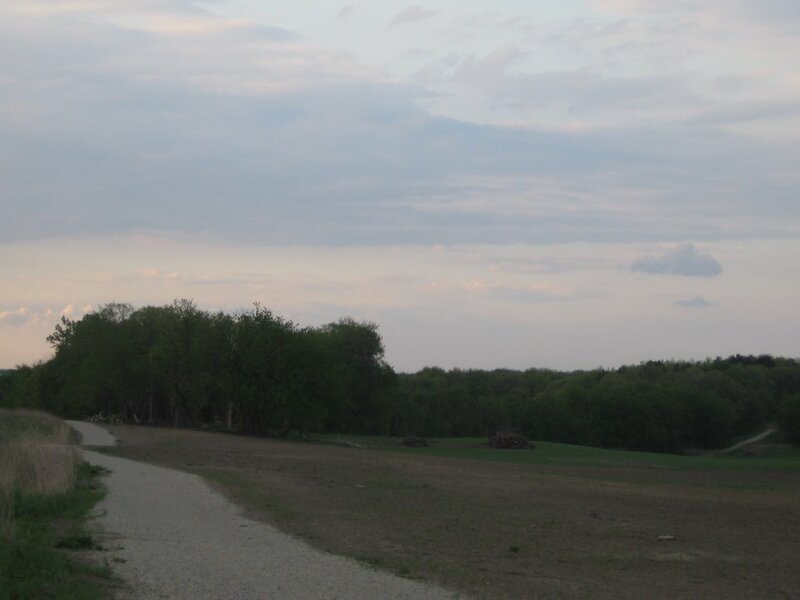 At the same time, I eagerly await the completion of a bike trail through Northfield that will connect the Sakatah Singing Hills and Cannon Valley Trails. I donâ€™t think these two things are incompatible. First of all, I canâ€™t believe that Carleton would give approval to any plan inconsistent with its own good and careful stewardship of the arboretum. And I am immensely reassured when I consider the people promoting the trail. Itâ€™s hard to think of anyone with more integrity, common sense, and dedication to her community than Peggy Prowe. Iâ€™m extremely grateful for the years of hard work sheâ€™s put into the Mill Towns Trail. At the same time, I completely understand Frederickâ€™s concerns. I think itâ€™s entirely appropriate to raise these concerns, to have them respectfully addressed, and (ideally) to move forward together to create the best bike trail for Northfield. 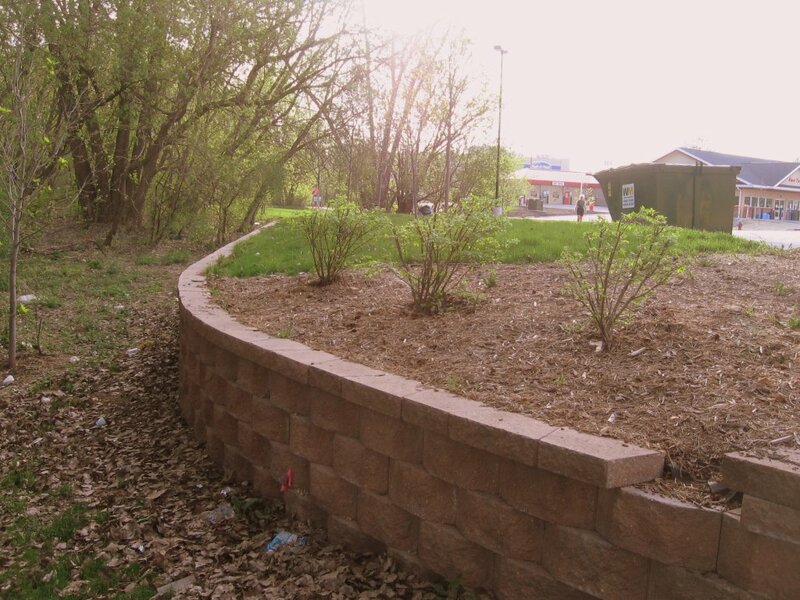 Personally, I think a bike trail through Northfield will provide a new incentive to preserve the best traditional features of the city, including its historic downtown and natural features such as the arboretum. As Carletonâ€™s careful stewardship of the arboretum benefits the wider community beyond Carleton, so will our careful stewardship of Northfield benefit the wider community of trail users who come to experience the cityâ€™s natural beauty and historic small-town charm. I also think there are advantages to a trail, such as the one proposed through Northfield, that directly connects urban and rural areas. Statistics for trail use in Britain indicate that the most likely trail users are middle-aged men with Wellington boots and a spaniel. The least likely users are young urban Pakistani immigrants. This latter group, on the other hand, is the most likely to become radicalized and involved in domestic terrorism. Iâ€™m not suggesting that trail use is the solution to the problem of terrorism, but I do think that access to the countryside may contribute to a sense of belonging to a wider community and to a sense of shared values. Get children out on the trails early, I believe, and they will grow up with a respect for the countryside and for the value of connectedness. Here in England, Iâ€™ve occasionally felt threatened by chavs and yobbos in bus shelters, but I’ve never been worried about young people out on the public footpaths. Again, I appreciate this discussion and hope it continues. 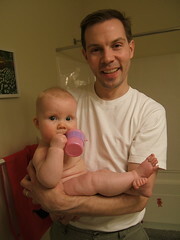 I hope that in my postings so far Iâ€™ve avoided sarcasm, condescension, and obfuscating rhetoric. Iâ€™ve had the advantage of composing all of my postings first as Word documents, then going out for a stroll around Kenilworth Castle before reading them over and posting them to the discussion! Professor Hardy, that’s a mighty good post and I think it might serve as ‘wrap’ for now. Neil and Frederick, you’ve both devoted a great deal of time and energy to this exchange and the citizens who venture here for months to come will be well-served by it. I thank you both. We may do another podcast on this issue later in the summer and we’ll likely revisit some of the issues raised here. 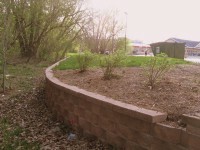 Anyone have info on the construction of the Milltowns Trail bridge over the Cannon River behind Walgreen’s? Dan Bergeson wrote in comment #1 that the bids were to be awarded June 4, according to City Admin Al Roder’s memo. No updates on the Mill Towns Trail website. I happened to see Peg Prowe from the Mill Towns Trail board yesterday and I asked her the very question. She’s been in Europe for a month and just got back so she didn’t have any new information. She said that she planned on contacting Katy Gehler, City Engineer, today to find out the status. It was Peggy’s recollection that bid requests didn’t actually go out until June 30. I don’t know why the dates got pushed back. There clearly isn’t any activity in the area yet. OK,there’s even more recent news from Peg. The following is from an email that she sent yesterday and explains that the bridge is now scheduled for construction in 2008.
pedestrian/bicycle bridge in Northfield across the Cannon River, west of highway #3, behind Walgreens will be bid Oct. 1. Due to DNR permit problems, it has been delayed. MNDOT has extended the Federal funding for it. Abutments and the sewer trench will go in this fall, allowing the sewer trench to “settle”. Next summer, 2008 the trail and bridge will be completed. There’s additional news about the Faribault and Cannon Falls trail connections, but these are the details about Northfield for 2008. What is the news about the other legs of the trail? I’m interested to learn about progress all along the route. “Due to DNR permit problems, it has been delayed.” That sentence is a good example of a lack of transparency on the part of someone in government that hurts credibility. What the hell happened? Did someone at the City not get the proper paperwork submitted in time? Did the DNR not process the request because of a backlog, lack of staff, a mistake? I,unfortunately, know nothing more than what Peg’s email message says. I’m guessing that further detail could be acquired by speaking with Katy Gehler or Joel Walinski at City Hall. Chris: the rest of Peg’s message reports the Faribault and Cannon Falls-related plans, all focused on the 2008 bonding bill in St. Paul. I’ve asked City Councilor Jon Denison to find out what happened.